The month October may evoke different associations: the beginning of autumn, the beginning of a cosy time with tea inside while leaves are falling from the trees, a massive festival on Drie of October or Halloween. For me, however, October is the month of books. That sounds weird, you might think, labelling me as a book nerd, who is sitting on her sofa with a pile of books next to it, wrapped in a blanket, wishing she did not need to leave the house until the end of the year. No, this is not what I mean (even though that image is appealing to me). October is the month in which the book fair in Frankfurt takes place, an annual event over 5 days (from Wednesday until Sunday) where book publishers and sellers from all over the world get the chance to meet each other. 7,300 exhibitors from 100 countries, 299,000 visitors and over 10,000 journalists make it the biggest and most important event of its kind. For me, as a student of literature and a former bookseller, it is akin to travelling to Neverland. Here I am among my species, book lovers of all varieties. For me personally, it is also the only chance to visit all my friends from the book school I attended (yes this school actually exists on a hill near Frankfurt, if you picture it like Hogwarts for book people, you are absolutely right!). I am very lucky to be able to work for a publishing house at the book fair; I’ve been doing so for three years already and it was always great fun. 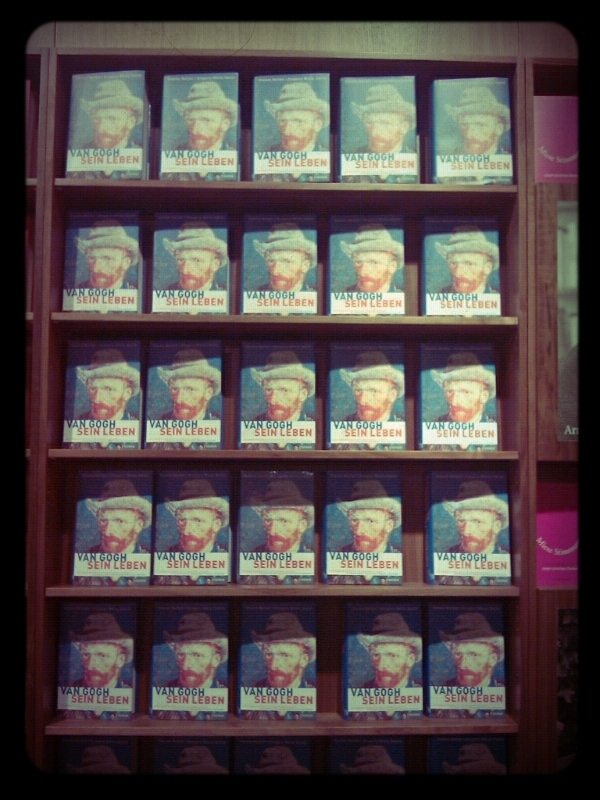 Thus, though not living in Germany anymore, I decided to leave Leiden for a week and here I am, in Bookland. So what is going on at this ominous book fair, you may wonder. Many people picture the book fair as a huge book store, where you can find every single book that has ever been published. If you expect that, you will be disappointed. 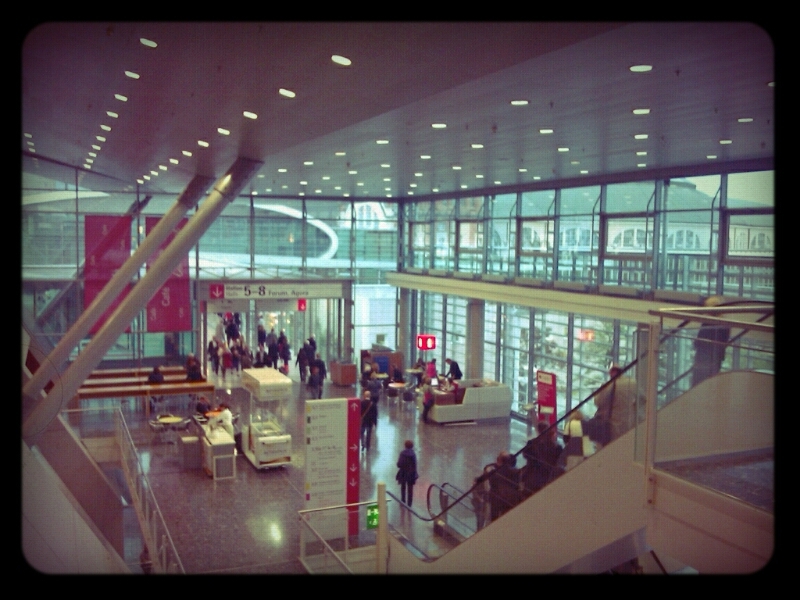 The Frankfurt book fair is rather a meeting place for the industry’s experts from all over the world to network, present their products to the public and sell translation rights. The book business is not the only business involved in this event. In these few days, the city of Frankfurt transforms into a city of cultural and literary richness. 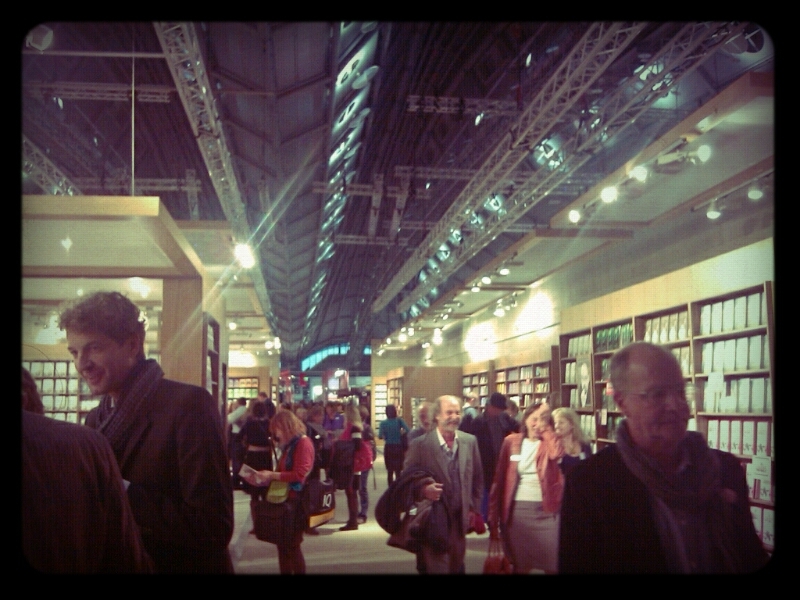 Authors from all over the world come to Frankfurt to present their new books. Theatres, cinemas and bars all over Frankfurt offer public readings, interviews and parties with a literary theme. That might sound like a horror movie for some people, but for me, this is paradise. I am already looking forward to a special event on Saturday. Every year, a German publisher of Mangas holds a competition for best Manga costume. This will transform painful queuing for the rest room into a forum for observing the various impressive creatures. 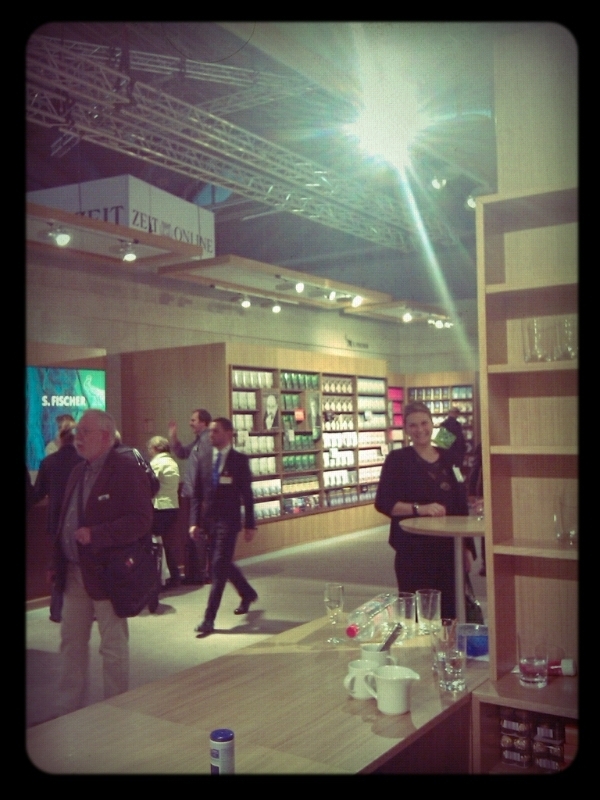 Alright, I’m gonna call it a day and get a wine at the stand (I am literally blogging from the bookfair now, sitting in the back of our stand, on a bookbox), before we are all leaving to tonight’s party of the publisher I am working for (yes, bookfair is really fun!). But Eric is going to visit the book fair with his class as well and he will tell you more about it from a student’s perspective. 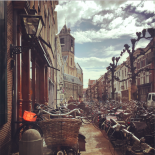 This entry was posted on October 11, 2012 by admin@theleidener in Culture, Katharina, Travel, Uncategorized and tagged bookfair, books, frankfurt, leiden, publisher.